With the nights drawing in and the weather getting cooler and wetter, getting out running can feel more of a challenge than usual. With the right kit you can stay warm and have fun, and it’s often even more rewarding than fine-weather running too. 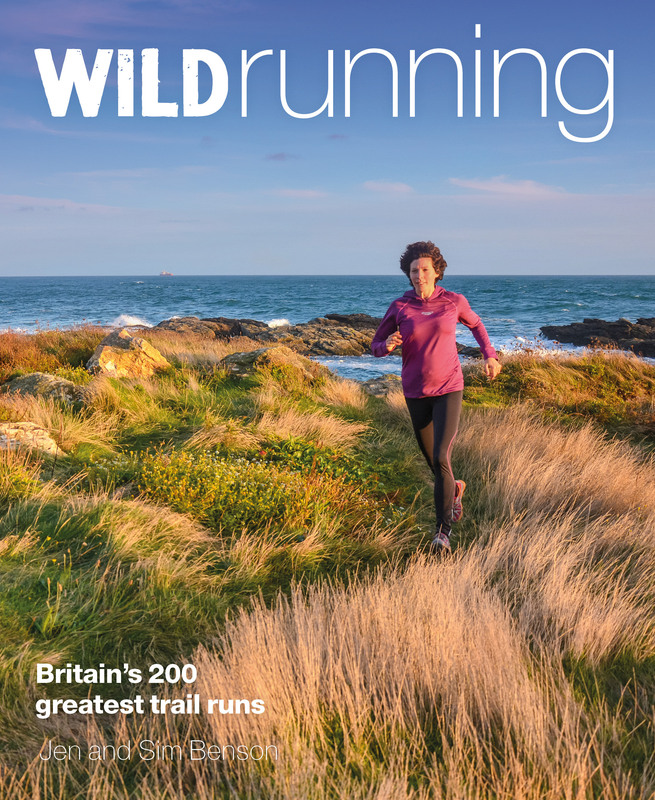 We’ve been lucky enough to have spent the past few months testing out and reviewing lots of different items of running kit. 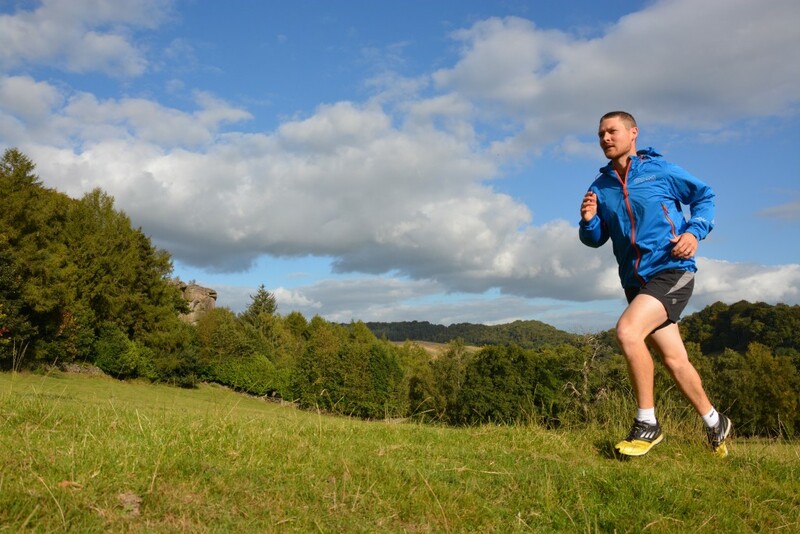 Here Sim shares his top items of running clothing for winter. 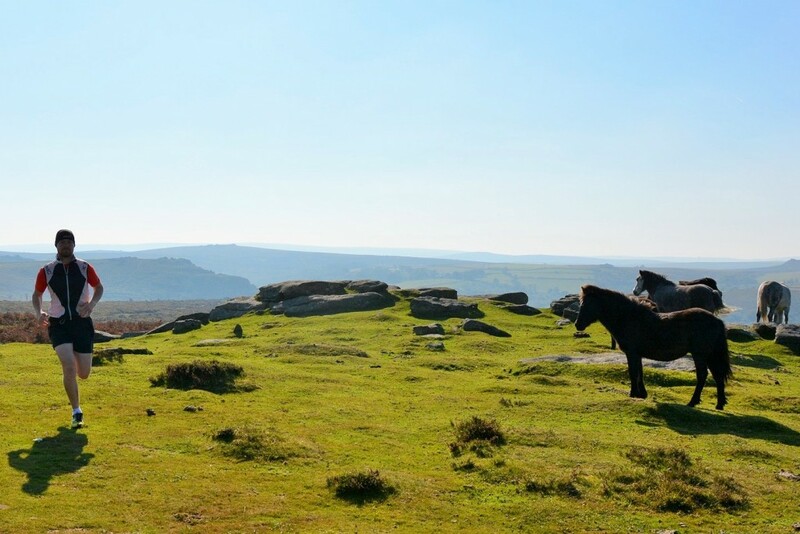 You can read Jen’s round up here. What you wear against your skin will determine how warm and comfortable you stay when you’re out in the cold and wet; the base layer is therefore probably the most important layer to get right. Happily there are plenty of options to choose from in a range of different fabrics. Merino wool base layers are normally the warmest, and as long as they are ethically produced you can feel happy wearing a natural fibre. 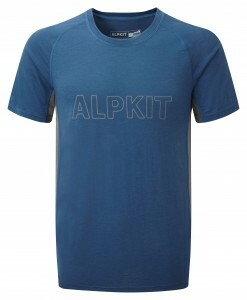 I wear either my Alpkit Kepler (RRP £29) or my Howies short-sleeve base layer (RRP £45) pretty much all the time. They look great as well as performing brilliantly in all but the warmest weather. Synthetic base layers dry faster than Merino, but Merino retains its warmth even when wet. When its a bit colder I’ll often layer my baselayers, my favourites being the Merino Smartwool PhD Light (RRP £63) and synthetics like the Helly Hansen (RRP £29) or the Ronhill Advance (RRP £40). I’ve also recently been enjoying the lightest bamboo Air range from BAM (Long sleeve RRP £35). For a short-sleeve synthetic option the Inov-8 Base Elite (RRP £32) fits really well and is made with innovative recycled coffee grounds-based anti-odor treatment. A mid layer should add a bit of extra warmth and protection, with many options also having useful features such as pockets, half or full zips and reflective detail. Icebreaker make some excellent running-specific mid layers from ethically-sourced Merino. 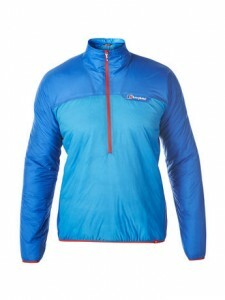 I like the Quantum Long Sleeve Zip Hood (RRP £160). The Haglofs Intense Zip Top (RRP £60) and the Patagonia Thermal Speedwork (RRP £70) make great micro-fleece mid layers that are soft, comfy and great for everyday wear too. Outer/shell layers can either windproof or both wind and waterproof. I tend to mainly use a windproof as they’re more breathable and nicer to run in. When the weather isn’t too bad the X-Bionic Spherewind (RRP £182) vest protects my core but maintains as much breathability as possible; it’s a really technical bit of kit and although it’s quite expensive it’s also great on the bike which improves it’s £ per use cost. The Rab Windvale smock (RRP £70) is a really simple, light and comfortable windproof smock; it packs away to almost nothing but adds a windproof layer which I’ve found really handy on the summit plateaus of summer mountain runs as well as for winter training or racing. When the rain is lashing down or if I’m running in the mountains with a dodgy weather forecast I’ll wear or carry a proper waterproof. The Inov-8 Race Elite Stormshell (RRP £150) is the best full mountain spec waterproof running jacket I’ve ever tried: it has a great running-specific cut, it’s light and packs small but it also has a really great storm proof hood and the 2.5 layer fabric appears to work very well. It’s a smock which I really like for running as they are lighter and more weather-proof but Inov-8 also make a full-zip. I normally wear a medium jacket but the large fitted better in the Inov-8 so do try before you buy. I’ve also been running in the OMM Kamleika Race Jacket (RRP £160) which is also a great mountain running waterproof: the fabric is soft and comfortable to run in and it is well-designed with a good adjustable hood, two large pockets and plenty of reflective detail. The other jacket that I’ve been impressed by is the Jack Wolfskin Exhalation Texapore XT jacket (RRP £140); again it’s light, looks good, fits well and it has a clever popper that allows you to undo the zip to about two thirds without making the jacket flappy. This allows me to keep the jacket on for longer as I can really ventilate it. 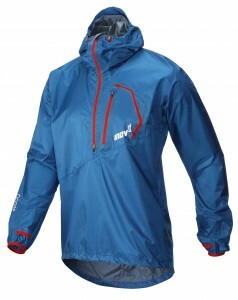 These three waterproofs are similarly-priced and all offer good value with slightly different deign features and cuts. Even in winter it’s not often cold enough to run in an insulation layer, but if you’re somewhere very remote or running through the night it’s often a good idea to carry one. A nice warm layer also makes those first few minutes easier and I’ll sometimes wear one just to warm up in. Berghaus make a reversible Vapourlight Hypertherm Race Smock (RRP £140) which is windproof on one side and lightly insulated. It’s a basic smock which is light and packs down very small, but also looks great, so it’s a great piece of kit if you’re running into town and don’t want to freeze when you get there. It would be an ideal bit of kit for a winter mountain marathon, especially if you are trying to be as light as possible. The Inov-8 Race Elite Thermoshell (RRP £120) is similar to the Berghaus but a bit heavier and warmer so great for the same thing when it’s a bit colder! Several companies have started producing a jacket with an insulated body and fleece or merino arms, sides and sometimes back, I really like these, they normally look really smart and offer useful insulation but maintain as much breathability and freedom of movement as possible. 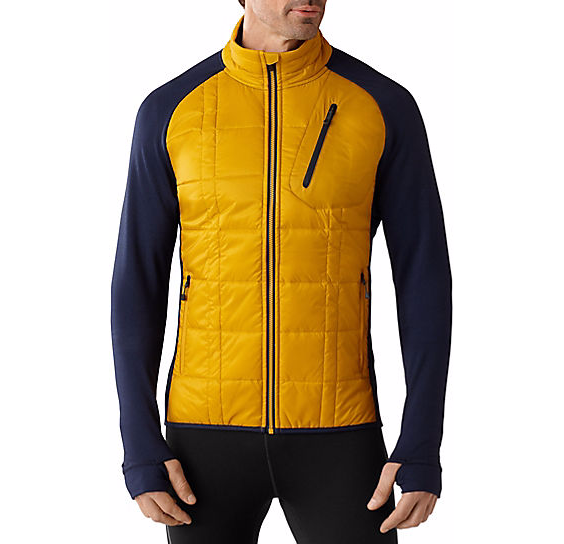 The Smartwool Corbet 120 (RRP £145) uses merino insulation in the padded area and a merino polyester mix for the sleeves, sides and back, I love it. The Jottnar Alfar (RRP £180) uses synthetic insulation and also has a hood, it’s a bit heavier but is insulated on the back as well, it’s cut for alpine climbing but translates well to a pre/post and warm up running jacket that also looks good enough to be on the podium after a race! I’ll normally continue to wear shorts until it gets really cold, whether I’m running or not! I really like the Skins range of compression shorts and tights: they look good, feel well-fitted, well-made and I think they increase my performance and recovery. I often wear them for winter racing or longer runs as they’re not too warm but do offer full leg protection. I’ve had a pair of Salomon running shorts of some design since I started running. My newest ones are the Agile Shorts (RRP £30), which are simple, durable, quick-drying and great to run in. It’s inevitable that off-road running in the winter I’ll get my feet wet. On shorter runs or races it doesn’t really matter as long as my shoes drain well and my socks are padded and comfortable, but wet feet for any length of time can result in softer skin that’s more prone to damage or blisters. If I’m out for a long time or several days and it’s wet and cold then I wear Sealskinz waterproof socks (RRP £37 for mid length). I use a thin liner sock which I can change each day and they normally keep my feet warm, dry and clean. If I don’t need waterproof socks then I like an ankle sock because they won’t ruck up and disappear into my shoe. A nice bit of cushioning also makes my shoes much more comfortable. Merino wool socks always feel softer: I’ve been using the Smartwool PhD running socks (RRP £15) for some time. I do find however that even though most Merino socks use some Nylon to increase durability, my Hilly synthetic socks always last the longest. My current Marathon Fresh Socks (RRP £10) have Polygiene in them which means they don’t smell either. I’ve just got a couple of pairs of very smart looking Inov-8 Race Elite Mid socks (RRP £12 for 2 pairs)- they’e comfortable and seem to be wearing well so they also get my recommendation and would work well as liner socks too. I often start a winter run in a hat even if I take it off after the first quarter of an hour. When it’s not bitterly cold a light weight pocketable hat is best. Inov-8 make the Race Ultra Skull (RRP £18), a nice light weight synthetic hat. The Ronhill Merino 200 hat (RRP £20) is a bit warmer but still small and light; it also has really visible reflective stripes on the back which are great if you end up running on the road. If it’s really cold I’ll wear a normal beanie style hat; my current favorite is by Buff (RRP £22.75). A cap is a super-useful piece of kit: the peak gives my face protection when it’s rainy, windy or most importantly in hail, if it’s cold I can wear a light hat over the cap and I’ve even been known to wear it with a polar buff (RRP £25) to completely wrap up my head. A light pair of gloves can make a cold run much nicer. The Salomon Active Glove (RRP £15) are light and basic and fit well. I recently came across a brand called GripGrab, who make a great range of running accessories. 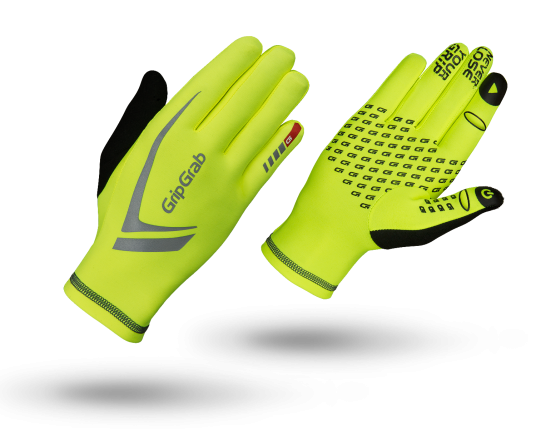 The Grip Grab Running Expert (RRP £30) gloves feel really good and high-vis reflective hands are really noticeable as they move with each arm swing. X-Bionic also make a range of accessories that I’ve enjoyed wearing: the X-Bionic headband (RRP £15) adds some warmth and wind protection for my ears without the extra insulation on the top of my head, or if it’s colder the Soma Hat (RRP £30) fits amazingly well and packs in many different weaves to enhance sweat capture, wind resistance and even improve hearing. Look out for more in-depth reviews of key items of kit coming up soon. Please do get in touch, or if you have used any of the above items, how did you find them? Also please contact us if you have any questions or suggestions. Sim.